Everyone is talking about botanical agents and all their benefits, but do you really know how they help your skin? Find out some of IMAGE’s favorite botanical agents and how they work for you. Coneflower frequently used to cure the common day cold. Originated in North America, but was commonly used in West Germany as a nonspecific stimulant to the immune system. Enchinacea supports and stabilizes cellular immunity for prevention and treatment of infections. It can be used to heal wounds and sores, inflammatory skin diseases such as eczema, minor burns, and sunburn. Find this in Ageless Total Eye Lift Creme, MAX Serum, Vital C Hydrating Eye Recovery Gel, Ormedic Balancing Gel Masque. One of few natural ingredients approved by the FDA to be used as skin protectant for conditions like poison ivy, diaper rash, dry skin. Oat kernal extract is an anti-inflammatory, antioxidant, and anti-irritant. Can be found in the Ormedic Facial Cleanser. Traditional Chinese medicine used as analgesic and in conjunction with acupuncture therapy. This wild weed is an anti-inflammatory, antioxidant, potent immunomodulatory, antihypertensive, and hepatoprotective agent. Can be found in Ormedic Balancing Anti Oxidant Serum. Exhibits strong, total antioxidant activity and effectively reduces power, free radical scavenging, superoxide anion radical scavenging, and metal chelating activities. Find this in Ormedic Balancing Anti Oxidant Serum. 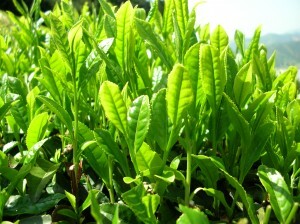 Recently, green tea extracts have been found to benefit the treatment of UV damage. Green tea is an important source of flavonoids, which are strong antioxidants. It protects against chemical carcinogenesis and photocarcinogenesis. It has been found to have anti-inflammatory and anticarcinogenic potential, which can be used for a variety of skin disorders. Find green tea in Ageless Eye Lift Creme, Ageless Total Skin Lightening Serum, Vital C Hydrating Facial Cleanser, Vital C Hydrating Anti Aging Serum, Vital C Hydrating A C & E Serum, I Peel Acne Lift, I Peel Lightening Lift, I Peel Signature Face Lift, I Peel Wrinkle Lift. Next time you’re looking at ingredients in your skincare products, be sure to keep an out for these wonderful botanical agents! Lips lover, this is for you! Let’s celebrate Summer.